Many people enjoy acreage living and it has many benefits, but it also has great responsibilities. Having your own water supply system is great on many levels but you have to ensure that you do your part to enjoy the benefits. If you have a water well on your property, you need to find out how to maintain the system so that you can get the best results. The following tips will help you to save when it comes to running your own water utility. It is important to ensure that the quality of your well water is good. This can help to prevent problems to your family and animals. Some warning signs to look out for include bad taste, foul odor, dirty water, soapy residue, scale in water pipes and plumbing fixture discoloration. All these can be signs that your well water is not fit for use. Your well could become contaminated with bacteria that are found everywhere, and it is important to get regular water testing at least every year. Having your well tested for chemicals every three to five years can help to ensure that your family is safe. You can avoid the high cost of medical care by ensuring that the water your family uses is clean. Well water often contains chemicals such as, sodium, iron, sulfates, nitrites and nitrates. If you notice unexplained illnesses in your family or suspect that the water has other metals such as arsenic, you should request for specific testing. 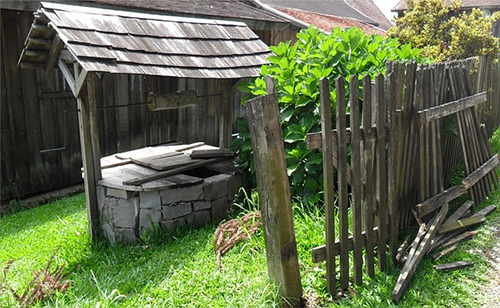 One of the most important considerations after construction of a well is to ensure ongoing cleansing and maintenance. This will help to ensure that your well operates consistently giving you the same flow rate and clean water supply. It is important to get professional cleaning every few years and the frequency will depend on the water’s mineral content. A water analysis will help to determine how often this is necessary and you can ensure that your well remains in top condition. Regular cleaning will eliminate the need for costly and often unnecessary filtration equipment. Apart from keeping an eye on the quality, you also need to monitor the quantity. You need to make sure that your water needs are met to avoid the need for paying for additional resources. Not all wells are the same as it depends on the aquifer you have and how much water you can draw. Keep a record of the water level measurements so that you can observe and log any changes. This will help you to spot any problems early enough and you can deal with them before they become costly projects. Bacteria can live and reproduce in the water well and this can lead to a myriad of problems. These include a slimy residue inside the surface of the toilet flush tank, reduction in water supply, plumbing fixtures staining, blocked or restricted pipes, and a foul odor. A sufficient amount of chlorine can be introduced into the well system to disinfect the water. Make sure that this is done by a qualified contractor.